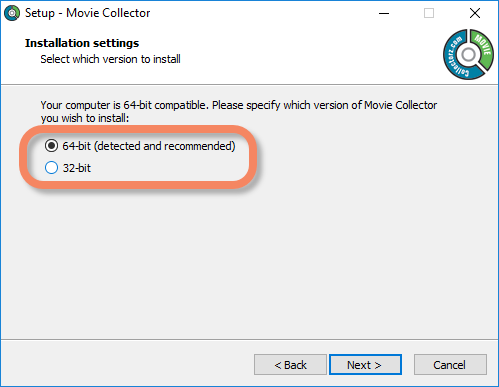 The new “Add as Single Movie” or “Add [x] Movies” buttons for box sets weren’t scaling correctly on screens with high DPI settings. Fixed now! We still had a couple of persistent Access Violation and List Index Out of Bounds errors happening in the Add Albums screen. We managed to capture them and the Add Screen should be more stable now. Should you still get such errors, please contact us and let us know! We still had a couple of persistent Access Violation and List Index Out of Bounds errors happening in the Add Movies screen. We managed to capture them and the Add Screen should be more stable now. We still had a couple of persistent Access Violation and List Index Out of Bounds errors happening in the Add Books screen. We managed to capture them and the Add Screen should be more stable now. We still had a couple of persistent Access Violation and List Index Out of Bounds errors happening in the Add Comics screen. We managed to capture them and the Add Screen should be more stable now. We’ve changed some code in various screens to make the program more stable and even less prone to random Access Violations. After many support conversations with helpful users, we finally found out what the problem was: a dodgy 3rd party HTTPS component. So we have now completely replaced that component with a better, more modern one, which seems to have resolved all Access Violation problems. 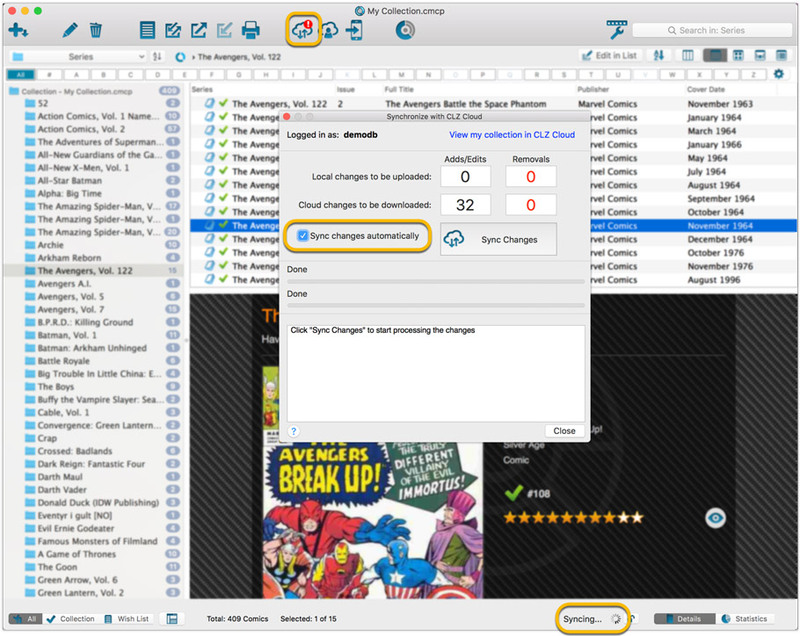 Add or edit comics in Comic Collector and these changes will auto-upload to the CLZ Cloud instantly. Did you make changes using the CLZ Comics mobile app or directly in Comic Connect? Just start your software and changes will download automatically. The speed-up will be most noticeable on large collections, with thousands of comics. Especially when having LOTS of folders in the folder panel (e.g. Character folders). After duplicating a comic, the duplicate would not be marked for syncing to cloud. 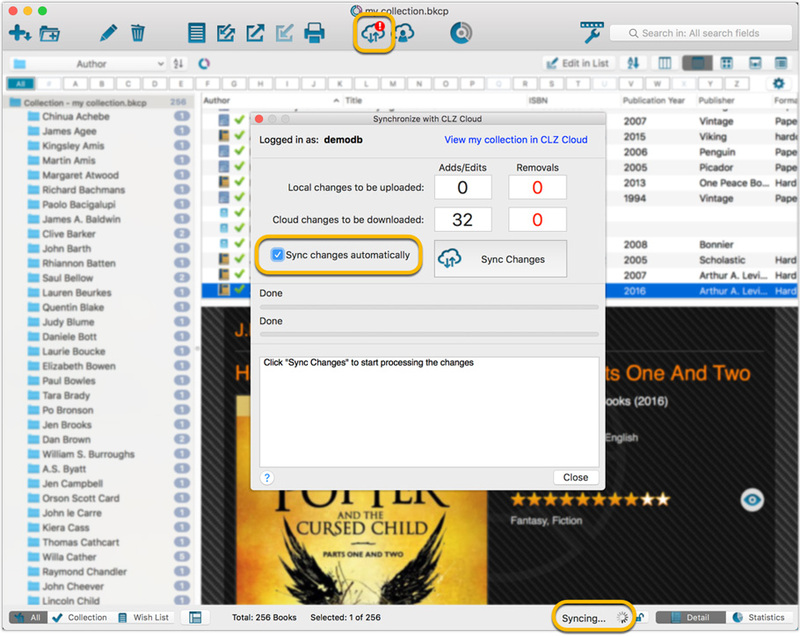 Add or edit books in Book Collector and these changes will auto-upload to the CLZ Cloud instantly. Did you make changes using the CLZ Books mobile app or directly in Book Connect? 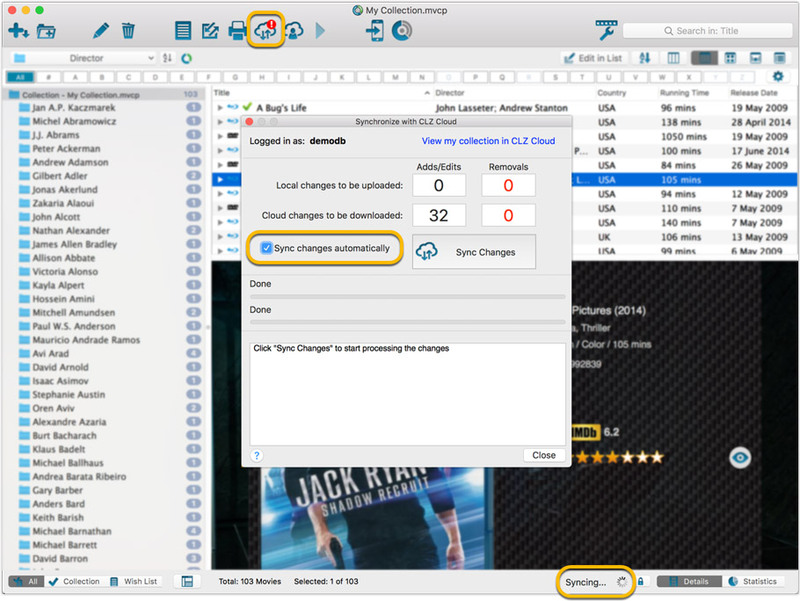 Just start your software and changes will download automatically. The speed-up will be most noticeable on large collections, with thousands of books. Especially when having LOTS of folders in the folder panel (e.g. Author folders). After duplicating a book, the duplicate would not be marked for syncing to cloud. The speed-up will be most noticeable on large collections, with thousands of albums. Especially when having LOTS of folders in the folder panel (e.g. Artist folders). 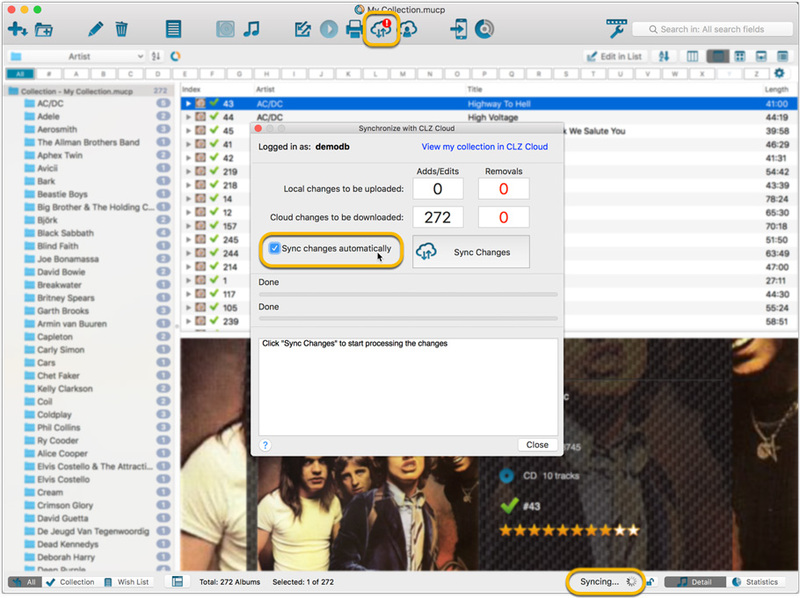 After duplicating an album, the duplicate would not be marked for syncing to cloud. For startup performance, the program now always starts in album view.